This malaria free area enjoys a temperate to warm climate with an annual rainfall of 450 mm occurring evenly throughout the year. Summers are hot and sunshine days are plentiful, with a chill in the valley during wintertime. The Sundays River Valley is home to the famous Addo elephants that once roamed the area freely, as well as mile after mile of evergreen citrus trees that bear fruit all winter and fragrance the air with their blossoms in spring. This area is world renowned for its citrus fruit production and is South Africa’s largest producer of lemons. 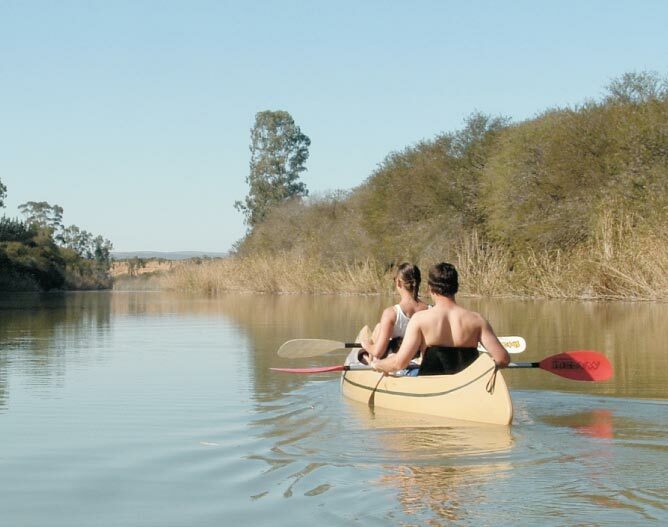 Situated just over 45 minutes drive from Port Elizabeth, this magnificently diverse area offers a wide variety of wildlife experiences, natural landscapes, outdoor adventure and cultural experiences. 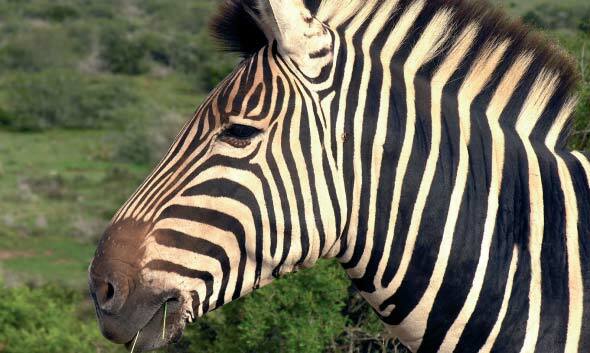 Over a million hectares of land have now been devoted to wildlife and many world famous reserves such as Shamwari and Schotia can also be found here. Found deep in the shadow of dense valley bushveld, the Addo Elephant Park was proclaimed in the 1930’s when only 11 elephants remained. Today it is a finely tuned eco-system which is sanctuary to over 400 elephants, buffalo, black rhino, lion, leopard, hyaena, antelope, small carnivores, over 180 bird species as well as the endangered flightless dung beetle, found almost exclusively in Addo. 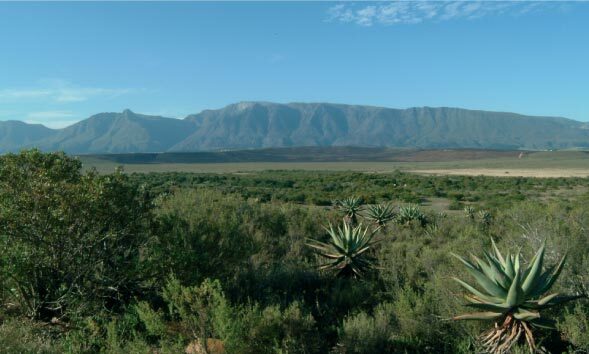 The Zuurberg Mountains, falling within the park, are home to interesting fauna and flora including three rare cycad and two yellowwood species. Plans to extend the current 125 000 ha park to a 492 000 ha “Greater Addo Park” are already underway with the park having more than doubled in size over the past six years. 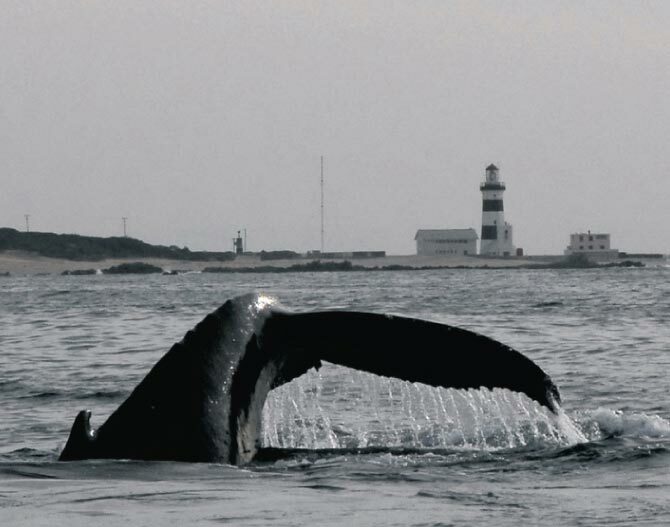 Unique features of the Park will include the “Big Seven” (elephant, rhino, buffalo, leopard, lion, great white shark and Southern Right whale) in their natural environment, a 120 000 ha marine reserve with a number of offshore islands as well as five of South Africa’s seven biomes (distinct vegetation regions), thus making it one of the most diverse conservation areas in the world. The entire area is rich with an array of different landscapes to enjoy. 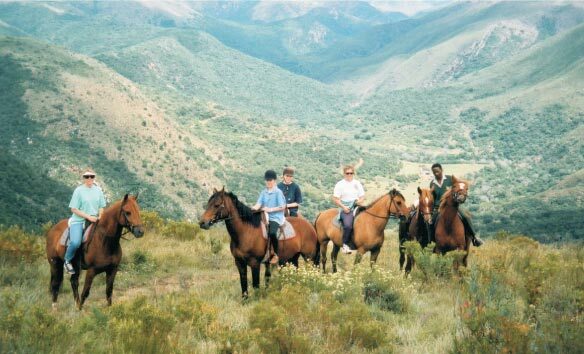 Follow the garden route to Jeffrey’s Bay (1 hour) on the coast with the world-renowned perfect wave and abundant shells or carry on through to the Tsitsikamma, home to Plettenberg Bay and Knysna (3 hours) where you will find an abundance of natural forests and associated adventure activities. Meander the Sunshine Coast and follow the beautiful beaches to Kenton on Sea and Port Alfred (1 hour) the jewel of the sunshine coast. 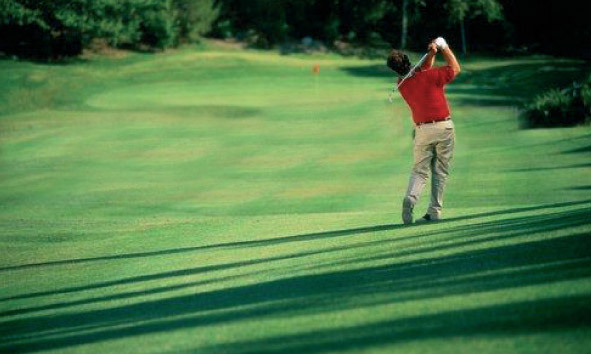 A lush network of lagoons estuaries, and grassy plains perfect for watersports and quality golf courses. Ramble through quaint historical sites in the hinterland such as Grahamstown (1 hour), the city of saints where you can trace the early European colonization of the Eastern Cape. Travel to Cradock (2 hours), steeped in history as the former frontier town and also home to the rare mountain zebra or visit Graaff Reinet, the gem of the Karoo.